The short holiday week brought a flurry of economic reports last week. 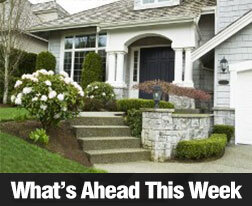 Highlights included pending home sales, the S&P Case-Shiller Housing Market Indices and the FHFA home price index. No reports were released on Thursday and Friday in observance of the Thanksgiving holiday. The NAR released its Pending Home Sales report for October. Although pending home sales dropped by -0.60 percent, the decline was less than September’s reading of -4.60 percent. NAR cited higher home prices and mortgage rates along with concerns over the then-pending government shutdown as factors that contributed to fewer pending sales. Pending sales are determined by signed purchase contracts and are considered an indication of future completed home sales and mortgage loan closings. Department of Commerce reported that building permits issued increased from 974,000 in September to 1.03 million for October. Permits for multi-family dwellings rose by 17 percent from September, but permits for single-family homes rose by 1.00 percent. A lagging supply of available single-family homes has been driving home prices up as demand also increases. The multi-family reading reflected the sector’s volatile nature and was largely concentrated in the West. The S&P Case-Shiller 20-City Housing Market Index for September reported its highest year-over-year gain in seven years, but the month-to-month reading was lower. The year-over-year reading was 13.30 percent in September and the month-to-month reading showed lackluster growth at 0.70 percent. When seasonally adjusted, September’s reading was 1.00 percent against the seasonally-adjusted August reading of 1.90 percent. In addition to the then-looming government shutdown, concerns over rapidly rising home prices in the West may have caused would-be buyers to sit on the sidelines as fears of another “housing bubble” gained traction. Rising home prices also impact affordability and impact the ability of buyers depending on mortgage loans to compete with cash buyers. The Federal Housing Finance Agency, which oversees Fannie Mae and Freddie Mac, issued its housing market index report for September. Based on sales of homes financed with Fannie Mae or Freddie Mac-owned mortgages, FHFA’s report indicated that year-over-year home prices at an annual rate of 8.50 percent in September as compared to August’s year-over-year reading of 8.40 percent. Economists noted that the increase of home prices is slowing due to a number of factors including higher mortgage rates and restrictive lending policies that are making it more difficult for buyers to purchase homes. Analysts said that next year could bring a more sustainable rate of home appreciation with year-over-year readings averaging between five and eight percent. Freddie Mac issued its weekly Primary Mortgage Market Survey on Wednesday; average mortgage rates for 30 and 15 year mortgages rose to 4.29 percent and 3.30 percent respectively. Discount points for fixed rate mortgages were unchanged at 0.70 percent. The average rate for a 5/1 adjustable rate mortgage dropped by one basis point to 2.94 percent with discount points unchanged at 0.50 percent. This week’s scheduled economic reports include Construction Spending, ADP Employment, New Home Sales and the Fed’s Beige Book. The Bureau of Labor Statistics will release its Non-farm Payrolls report and the national unemployment rate. Weekly jobless claims and Freddie Mac’s Primary Mortgage Market Survey will be released as usual on Thursday.